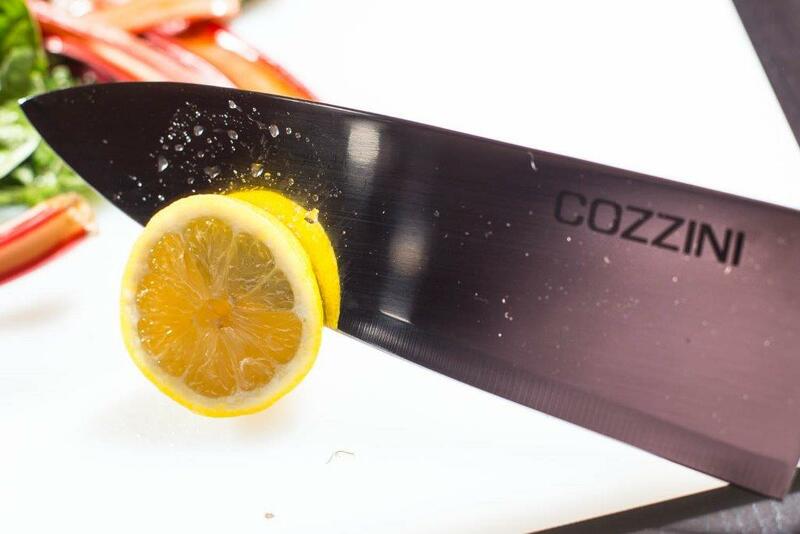 Cozzini Bros. believes in sharp knives and blades… and in education. That’s why we want to share our knowledge of knives with you. Here is information that we believe is important. You are probably throwing away money using a dull slicer blade. Dull blades, especially on a Robot Coupe, cause chafing and tailing, so more of your product ends up in the garbage, and product appearance suffers. A solution is the Cozzini Bros. Slicer Blade Exchange Program. Our service technician will replace your blades on a pre-determined schedule. You can rely on our over 100 years of experience to professionally bevel, taper, and sharpen your blade. You will get better product appearance and significantly reduced waste. Go ahead and slice that prosciutto paper thin! It will look great and you’ll have significantly reduced waste with your razor sharp Cozzini slicer blade. In addition to less food waste, you’ll have the added benefit of improved product appearance. The program practically pays for itself. You’ll never have to buy another blade, plus you’ll spend less time on maintenance because our blades stay sharper longer. Ever notice that even the cleanest kitchens have one thing that may not look so great? The can opener! Can openers tend to attract rust and grime, and health inspectors love to pick on them. But there’s much more to a can opener than just a sharp blade. There’s also the safety risk of metal shavings and hazardous can edges. The Cozzini Can Opener Exchange Program eliminates the need to ever purchase or replace a can opener again. The Program provides a fully reconditioned can opener replacement on a predetermined frequency. Your reconditioned can opener will have all new internal parts: the blade, spring, gear, and pins because a sharp blade is meaningless if the gears are stripped or the spring is damaged. Then we go the extra step by sandblasting the entire exterior to create a like new finish. You’ll receive a completely reconditioned can opener that looks and functions like new. One less thing for you to worry about. One more way Cozzini can make your life easier. We understand the importance of making a budget and doing everything possible to stay within that budget. We also understand how busy you are. From the moment you go to work, you’re inundated with demands for your time. Phone calls, emails, people that need to see you, inventory, ordering, problem solving and you haven’t even begun preparing your kitchen for another busy day. The last thing you want to do is add another chore to your plate. Employee’s time to sharpen removes them from their function. Sharpening your knives onsite adds an unnecessary risk of injury liability. Just one medical claim could eliminate any savings. Our customers who sharpened their own knives tell us that their savings were not as great as they had anticipated. They found that the edge quality was inconsistent and could not be compared to Cozzini quality sharpening standards. They also said they replaced knives more than they thought they would. Lastly and with regret, some employees were injured while sharpening. Cutting costs has its place. But not when it means adding another chore to your never ending list of things that must be done. Let Cozzini do what we do best, and make your life easier!